Now a fashion week regular at the shows in London, Paris and New York with fashion houses such as Burberry, DKNY, Isabel Marant, Hermes, Preen and Betsy Johnson, Nicci Welsh started climbing up the tough beauty ladder 20 years ago as a hairdresser. Her unique flair for the aesthetic in any context and extreme versatility in applied techniques has given her a career that only few dare dream of. One that combines the field of high fashion, editorial, film, TV and celebrity work at the highest international level as a session hair stylist and make-up artist. Nicci has been published in magazines like L’Uomo Vogue, L’officiel, Harper’s Bazaar, Tush and ELLE and her vast expertise has led to collaborations with global brands such as Maybelline and companies such as Proctor & Gamble. She has made up some of the world’s most famous faces including Paris Hilton, Cheryl Cole, Mel C and Robbie Williams and got her break styling hair for one of the most iconic illustrations ever made for Pink Floyds collective works “The Back Catalogue”. 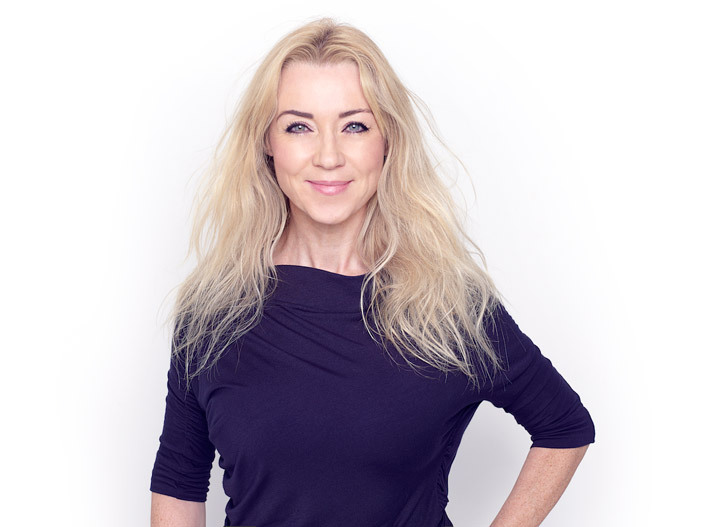 Nicci also imparts her knowledge on hair, make-up, beauty and skincare in a monthly column for Danish beauty magazine Skøn; she has been a regular member of the judging panel for the Danish Beauty Awards for 5 years and she is the founder and brain behind her Make-up & Hair Academy, which teaches new talent the profession from the bottom up. British born now based in Copenhagen.